Our friendly staff welcomes you to Northpark Dental Associates! We look forward to serving you and your family as we help you find a reason to smile again. 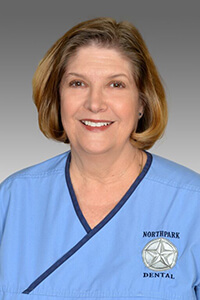 Susan recently retired after working almost 20 years at Northpark Dental Associates. She began working with us in 1997 as our Scheduling Coordinator and had made her way up to “Front Desk Goddess.” She always had a remarkable memory for patients’ scheduling preferences and loved meeting and talking with our patients to help make them feel comfortable. Susan and her husband, Ken, are enjoying the retired life. She loves to garden and is proud of her backyard and flourishing rose bushes. Susan loves to read and spend time with her dog, Charlie. Shellie is our Business Administrator. 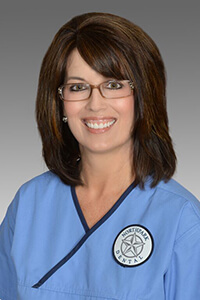 She has 20 years of experience throughout the dental office including assisting the doctor, educating patients, treatment planning, handling any financial and insurance questions and concerns and can help with medical insurance and filing for benefits regarding sleep apnea oral appliances. Shellie lives in East Texas with her new husband and bonus teenage son. Shellie is also very proud of her daughter who is pursuing her business degree at Texas Woman's University. Shellie loves to travel and is working on her own 'bucket list' of places to visit. Her hobbies include camping, vacation planning, painting, playing the piano, cooking, playing Texas Hold 'em, and keeping up with her 3 dogs, Honey, Monster and Libby Lou Lick Lick. 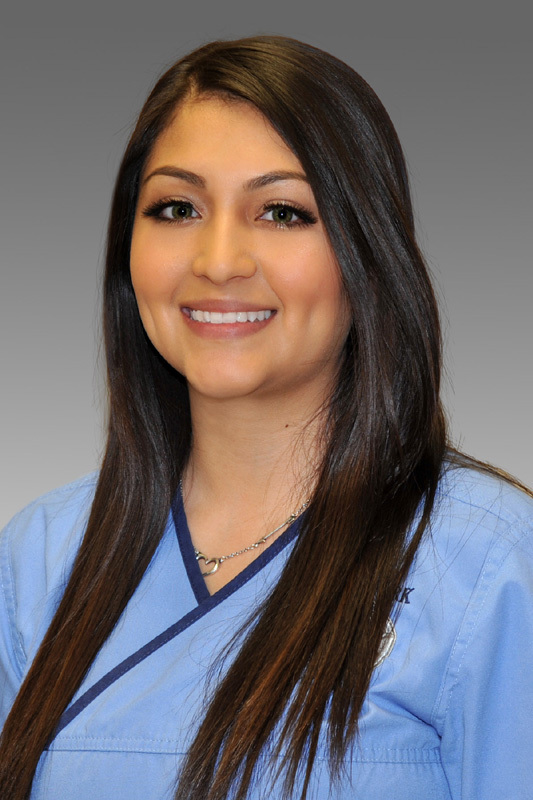 Beatriz joined our practice in 2008 after graduating at the top of her hygiene class at Baylor College of Dentistry. She speaks Spanish fluently. She lives in Wylie with her husband and two children. Bea loves to read medical mysteries novels and truly enjoys watching her boys play soccer and basketball. Bea's oldest is a member of the Boy Scouts of America while her youngest enjoys anything Nerf related. Bea's newest member of the family is a chi-weenie named Chikis. Deanne , one of our Registered Dental Hygienists, has been practicing dental hygiene for 27 years. 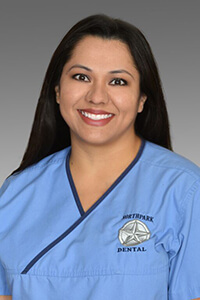 She has been a part of Northpark Dental since 2001 and is passionate about her career in dentistry. Working with patients to help achieve their dental goals is what motivates her the most and inspires her to keep practicing for years to come. She has been married to the love of her life for 27 years and cherishes time spent with her 3 beautiful daughters, a fabulous son, a precious daughter-in-law and 4 extremely exceptional grandsons. Make sure you ask her about her spoiled rotten toy poodles, Roxi and Phoebe. They complete her. 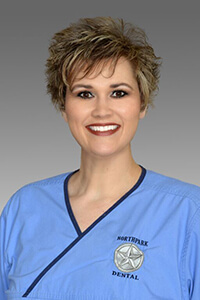 Erika is our rock star Registered Dental Assistant. She has over five years of experience assisting and working alongside the dentist. In her free time, she enjoys going to the movies with her husband, playing in the back yard with her two children and watching her daughter during her gymnastic meets. Erika is also fluent in Spanish. 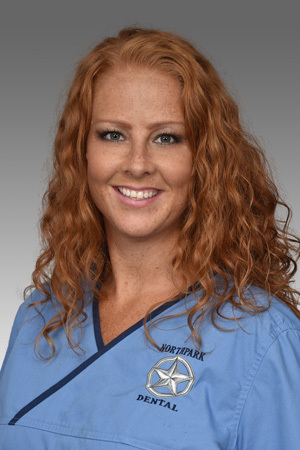 Brandy is the newest member of our team and has been in dentistry over 12 years. She has been a Registered Dental Assistant since 2006. She is a rock star at both assisting the doctor and helping at the reception desk. Brandy enjoys running and spending time with her husband and children doing anything outdoors like camping, hiking, four-wheeling and any kind of music concert.